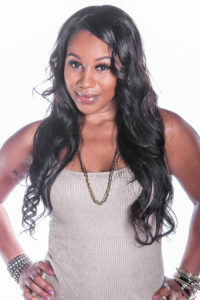 V Brown, the founder of Convo Piece Media, is a journalist, publicist, brand ambassador, and actress. V Brown goes by the moniker Miss Conversation Piece as a freelance journalist for outlets such as BET, EUR Web, Vlad TV, Hip Hop Weekly, Baller Alert, The Shade Room, WorldStar Hip Hop, Afterbuzz TV, Black Hollywood Live, Focus TV Network & The Jasmine Brand. After three years of independently publishing Conversation Piece Magazine in her hometown Memphis, TN, she decided to take her work to a visual platform. Her published work has collectively gotten over 5 million views between her various media placements. Now located in Los Angeles, she is soon to be the next big thing online and on your TV screen. Miss Conversation Piece began building the brand Conversation Piece in 2007 and has since been featured on shows on BET, MTV, ABC, TV One, CW Network, & national commercials for Budweiser, Def Jam, and Cheetos. Plus, she produces and hosts for My Guy Mars Radio on XXL station for Dash Radio. In addition, V Brown is a motivational speaker, coordinates events and is a tastemaker for various brands. Miss Conversation Piece has a background in marketing stemming from her education at her alma mater Dillard University in New Orleans, LA and her work experience at Sony Music Entertainment. She is also on the SAG Awards nominee committee.